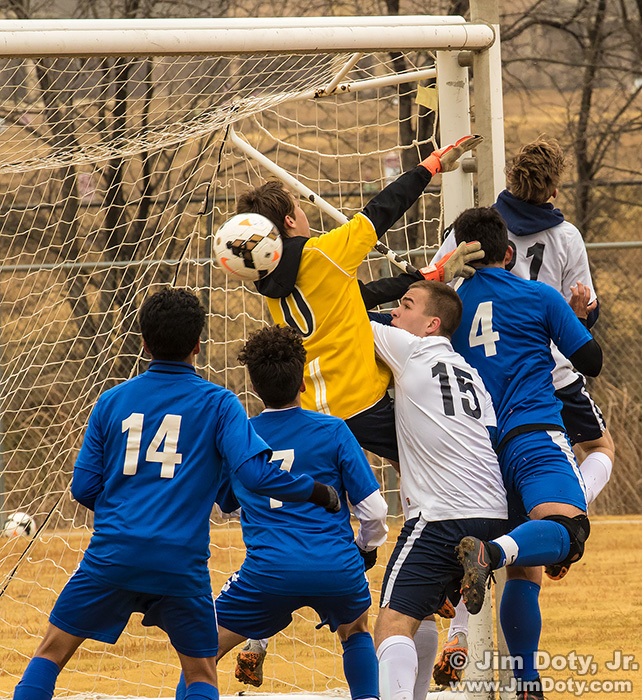 Andrew playing soccer, Keller Texas. January 14, 2017. Our grandson Andrew loves to play soccer. He is number 15 in white in this group of players near the goal. The key to most good sports photos is action and there is a lot going on in this photo. The ball is going behind the goalkeeper in yellow. This is my favorite photo for January 14. 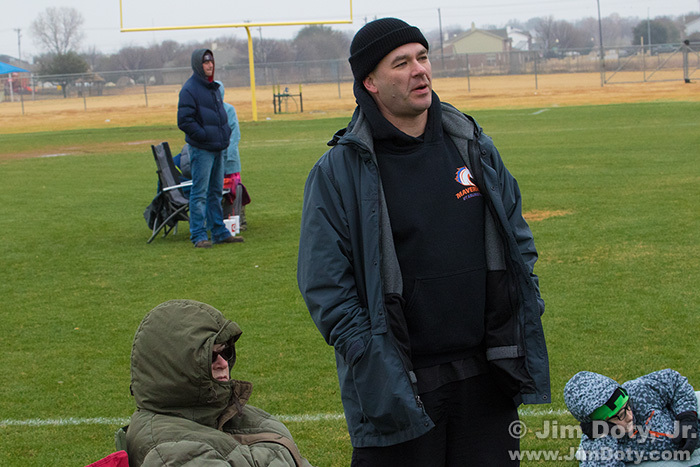 Jim III and Melissa on the sidelines of the soccer match, Keller Texas. January 14, 2017. Meanwhile, over on the sidelines just about everyone is bundled up on an unseasonably chilly day, even for Texas in January. Our oldest son is standing in the foreground and my wife is sitting there all bundled up in my winter coat, her face barely visible. This is my second favorite photo for this date.